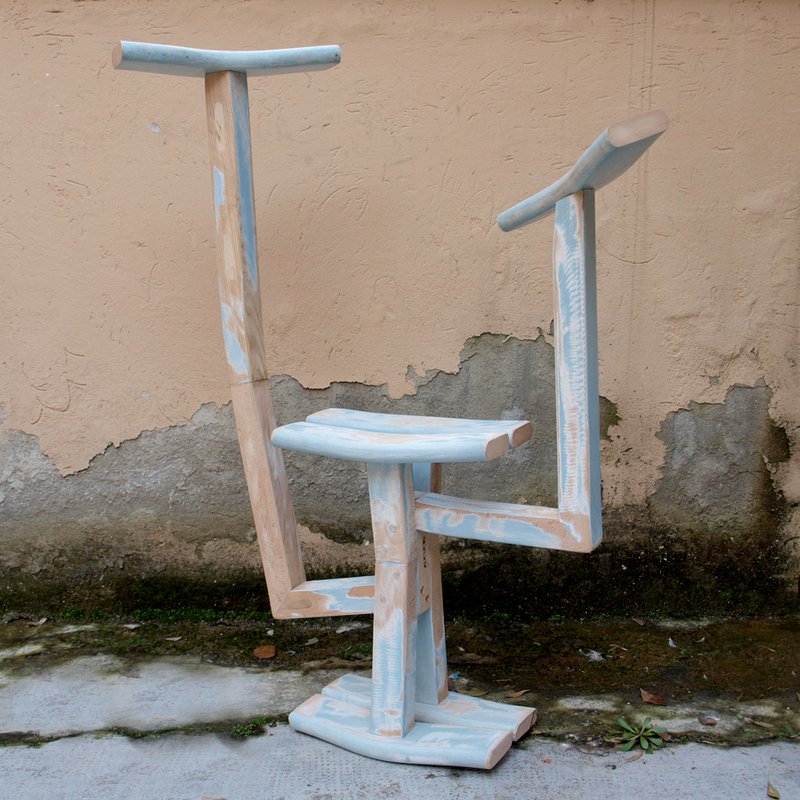 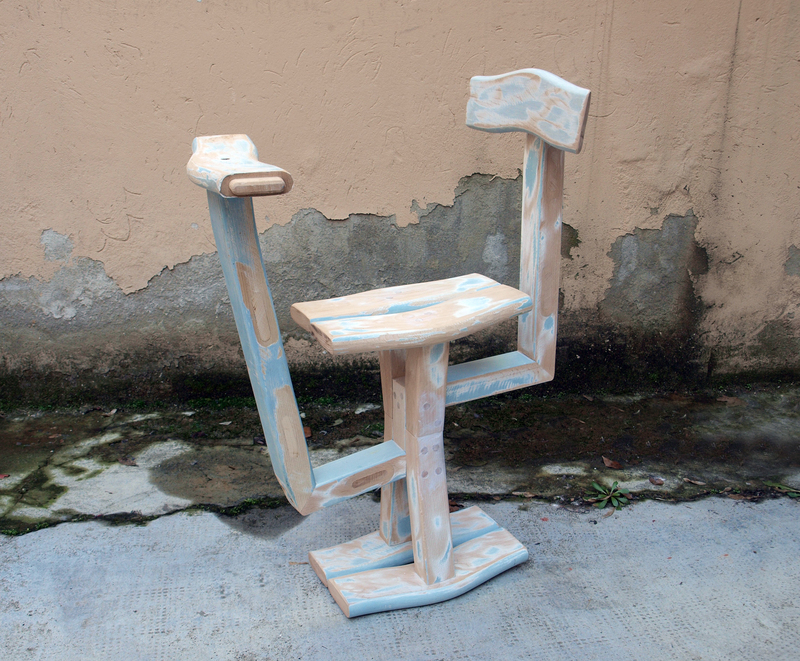 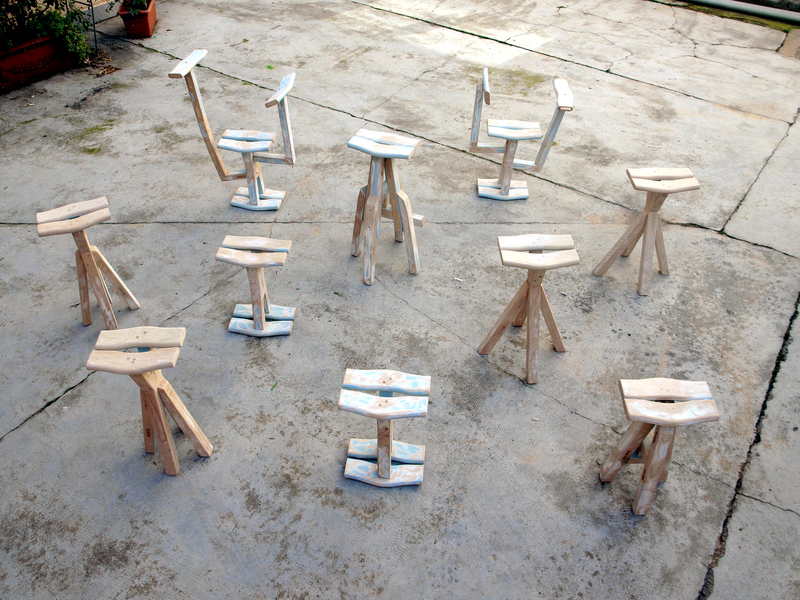 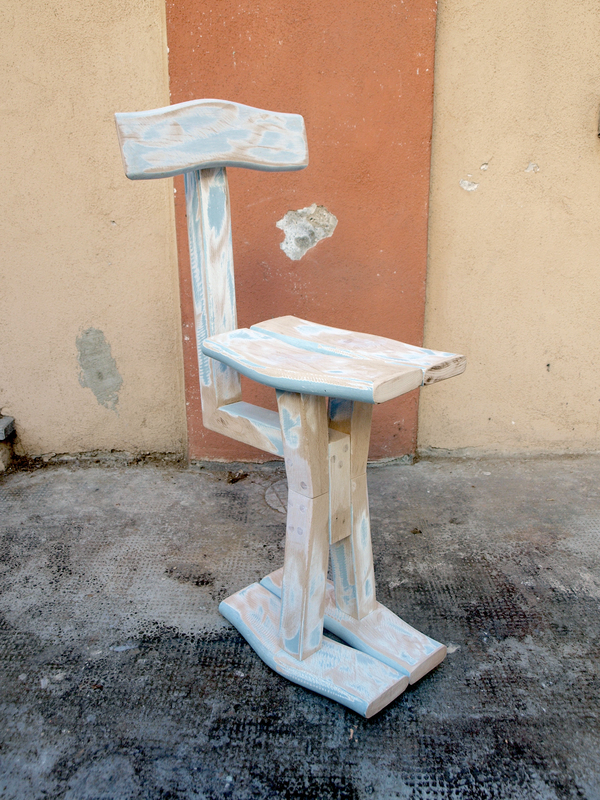 A solid wood stools collection made of re-cycled and re-assembled old chairs’ backs. 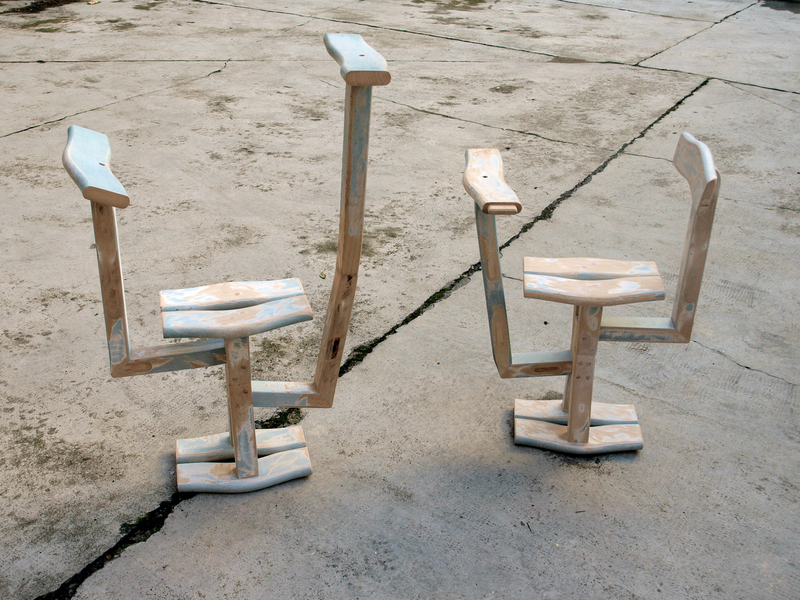 The unusual shape comes from their original form and allows users to find a balance between their bodies and the object. 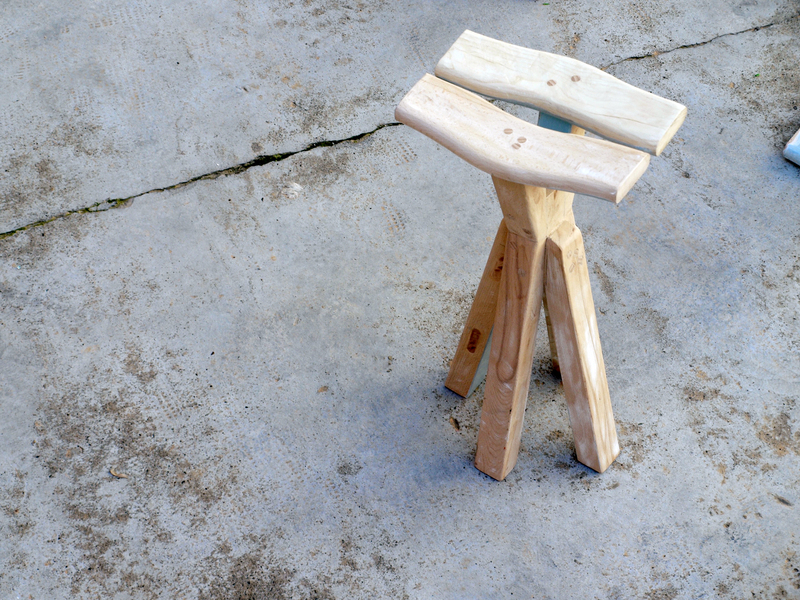 For example, the stool “genesis baricentrum II” allows people to rock and to interact with this item in a different way thanks to a concave base and to two armrests set at different heights.